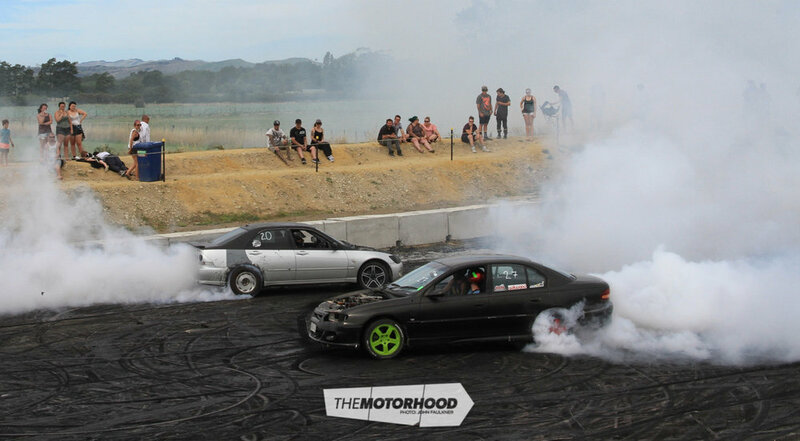 So, as a bit of summer fun for those who enjoy a bit of mechanical abuse, the Masterton Motorplex crew put on the Smokefest Burnout Comp on Saturday, January 20. Tell ya what, these guys go alright. As the temperature climbed toward the high 20s, a small driver’s briefing took place before the 30-odd cars were let loose. Despite the high ambient temperature, engine damage was in surprisingly short supply, with only a handful suffering unhappy cooling systems. With a handful of tough competitors showing face, it was anyone’s guess who’d take it. 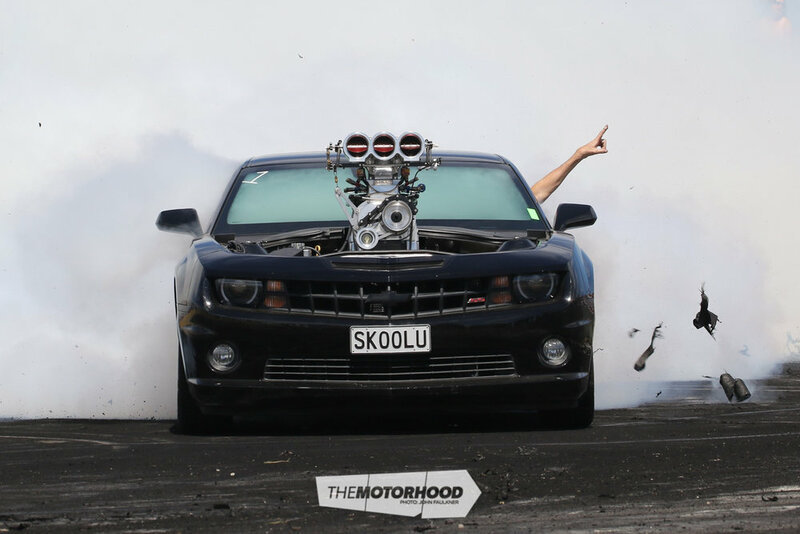 That would be an honour for Justine and Joel Arcus, who wowed the crowd with their seriously impressive ‘SKOOL U’ Chev Camaro, taking top honours in the V8 class. 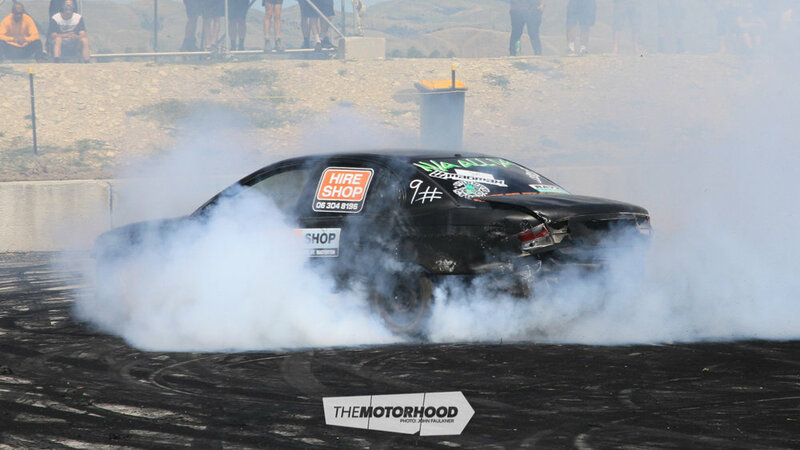 The Camaro was purchased ex-USA as a write off, so Joel did what any good lad would and installed a blown and injected LS with plans to annihilate tyres. Mission accomplished! 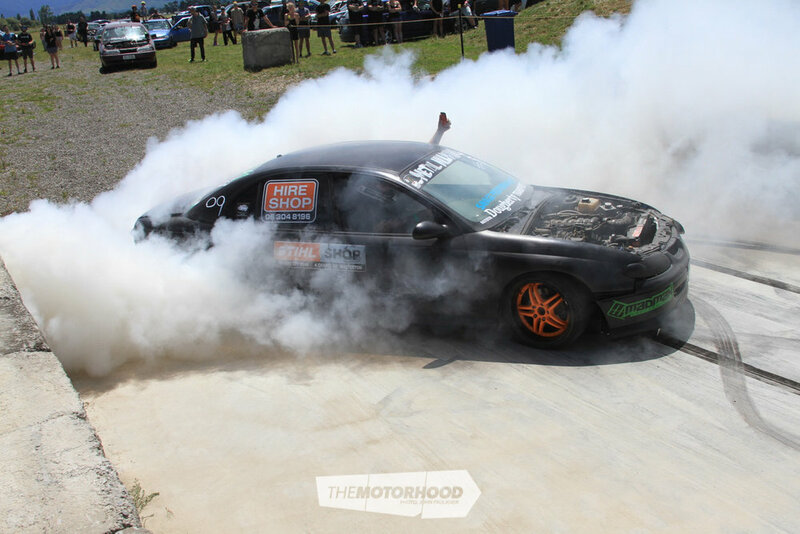 Coming in second was a familiar face for anyone who’s been keeping up with the local burnout scene — Rob Toheriri’s wild ‘AGROXB’ Falcon hardtop, powered by a blown 468ci big block. 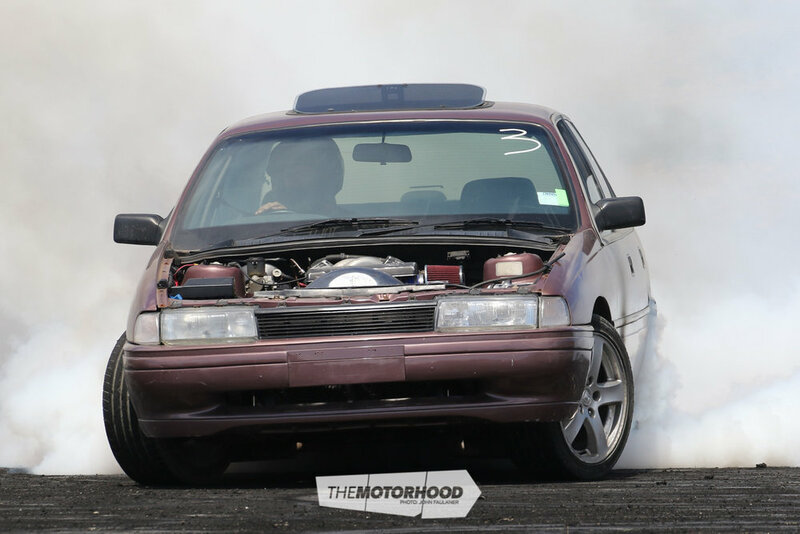 Zach Sayer had entered in his Nissan Cefiro, now running in the nines at the drag strip, but was unable to skid due to his hand control beaking. 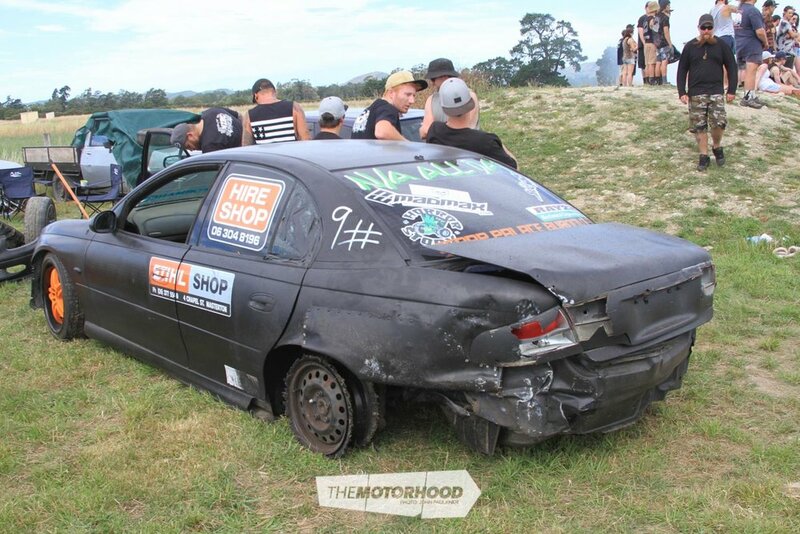 One of his mates offered to skid it, but he said no — probably a wise decision! 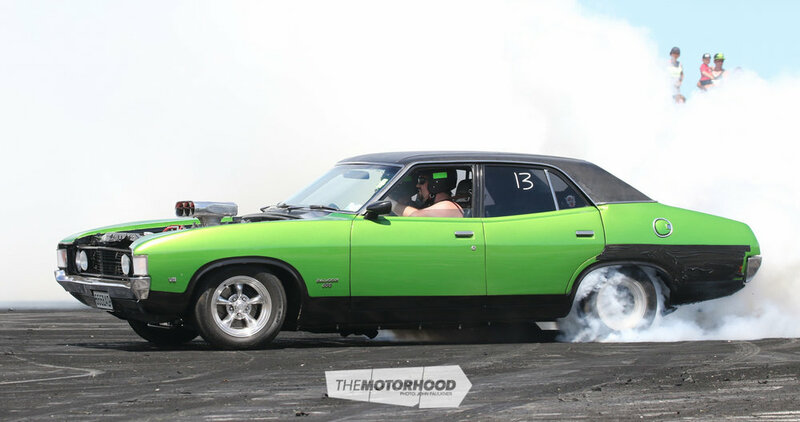 Mike McQueen’s tough XA Falcon was an impressive contender, especially for its first time on the skid pad. We just hope that tape was able to protect the flawless rear guards. 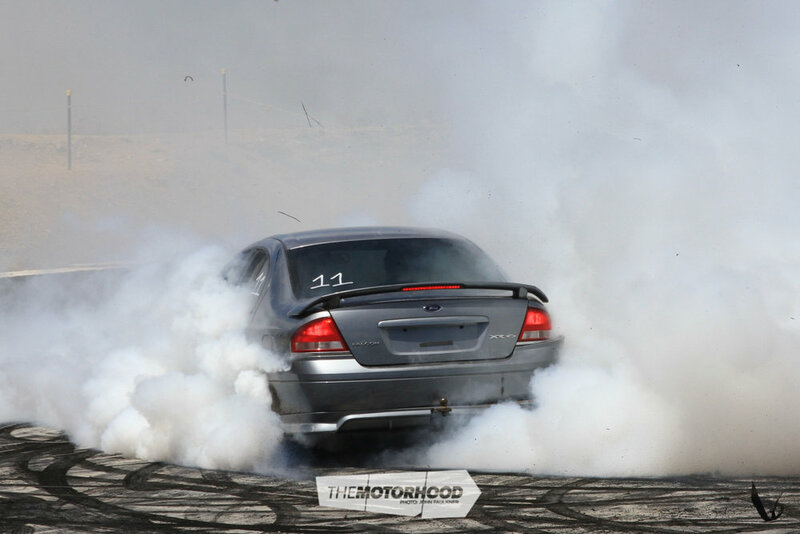 We even got to see a crack at a tandem burnout, with Jamie Shepherd and Shane Wilson giving it a go. They had things all under control, saving the carnage for another day. The only woman competing, Edra Hardgrave had her V6 Commodore on the limiter, bursting both tyres in what seemed like no time at all. With the proceedings wrapping up later in the afternoon, the crowd and competitors definitely left satisfied. Who wouldn’t be, after being able to enjoy a grassroots competition at a professional venue? 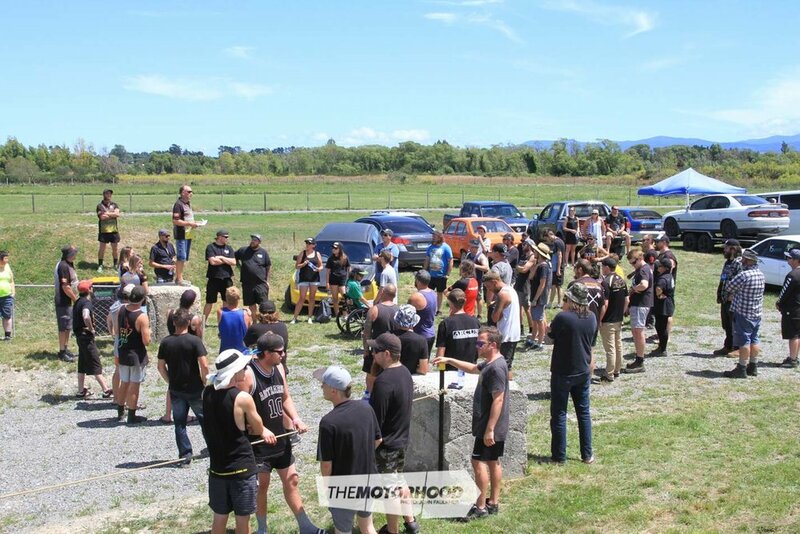 Now it’s just the waiting game, and it’s gonna be worth it, when NZBC rolls around in March for the final round of the inaugural season — you’re not gonna want to miss it!